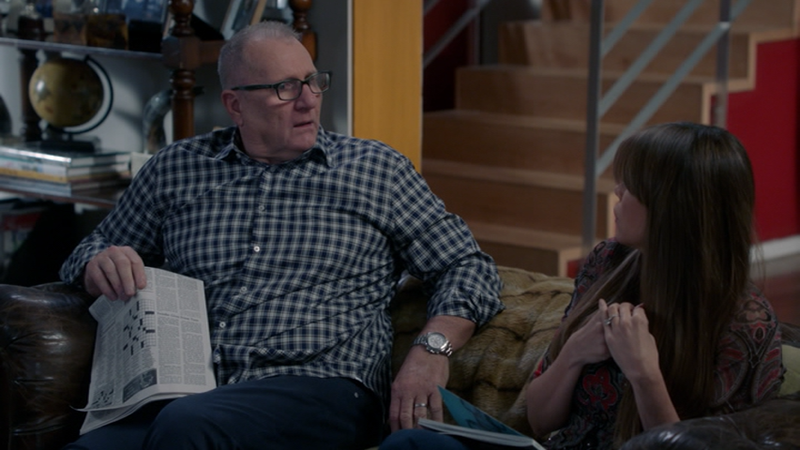 Telling the story of three generations of the Pritchett clan, centered around Jay (Ed O'Neill) and his kids Claire (Julie Bowen) and Mitchell (Jesse Tyler Ferguson), and their respective families, Modern Family was, for all intents and purposes, an instant hit with critics and viewers (earning five Best Comedy Emmys in its first five seasons.) A single-camera sitcom without a laugh track, this mockumentary series (complete with talking head interviews with the family) blends together three types of relationships and the good times and struggles that come with them, with a heaping helping of heart, to create a genuine feel-good show with a good amount of laughs. The first eight seasons have been released on DVD (with the first few also available on Blu-Ray), and DVDTalk has reviews of the majority of the releases. Whereas the show's eighth season felt very comfortable--a series that had settled neatly into a formula over its time on TV--season nine feels somewhat lazy. The show keeps hitting the same story ideas over and over--be it Phil (Ty Burrell) and Claire's competitive marriage, Cam (Eric Stonestreet) and Mitch's awkward misunderstandings or Jay's continuing issues with his mortality--and doesn't feel like it's doing anything new with the material. It still can pull out some laughs--one scene with Cam and Kitch and their friend Pepper (Nathan Lane) manages back-to-back laugh-out-loud moments--but you can easily find yourself getting ahead of the show's joke setups, which is never a good sign, considering the series has been so finely crafted in terms of story and timing. This go-round centers around a few season-long story-arcs, like Cam's sister Pam's extended stay in the guys' house, Hayley's tentative approach toward a legitimate adult relationship (and employment at a ridiculous lifestyle brand, obviously inspired by Gwyneth Paltrow's Goop) and Manny's adjustment to college (while Gloria (Sofia Vergara) adjusts to not having her first son around.) The usual theme episodes make their returns as well, as the families celebrate Halloween and Valentine's Day, and take a big trip to enjoy the then-very topical solar eclipse. Though the show is somewhat on auto-pilot this year--another episode where Cam, Phil and Gloria team up? Three separate episodes about being in the hospital?--it could do something different at times, like when Phil shows a house to Coldplay lead singer Chris Martin, letting the musician show off a knack for comedy, or when Alex (Ariel Winter) dates her mom's assistant Ben, giving Joe Mande free reign to steal the show. But too often, the show felt too familiar, and lacking in the charm and surprise it once had in abundance. Event the tightly scripted plots and smart wordplay that were hallmarks of the series feel forced and telegraphed. The show did end its season on something of an upward trajectory, calling back a number of fun guest stars, including Adam DeVine and Jane Krakowski, and introducing a potentially great guest in Ben Schwartz' techie hipster, but it also hinted at changes in the next season--potentially the show's last--which could increase the sense that it's more of the same and the show has jumped the shark. Though that's not something a fan would want, the show remains entertaining, which is more than many shows can say after an extended run. 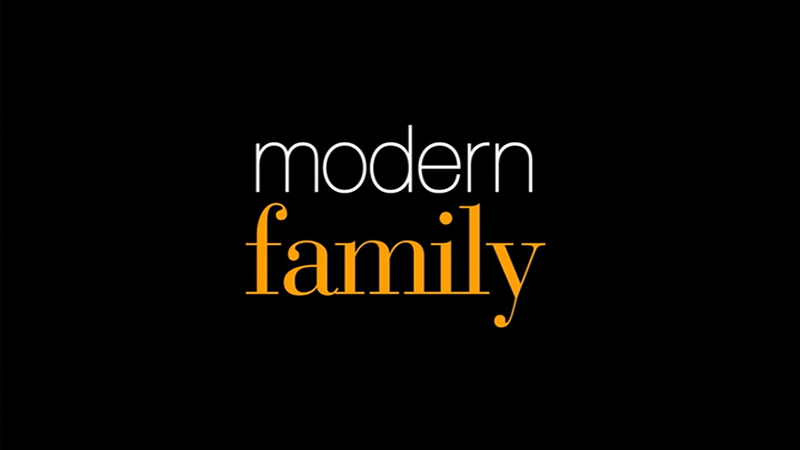 If Modern Family biggest sin is that it's become repetitive, at least it's repeating good stuff. 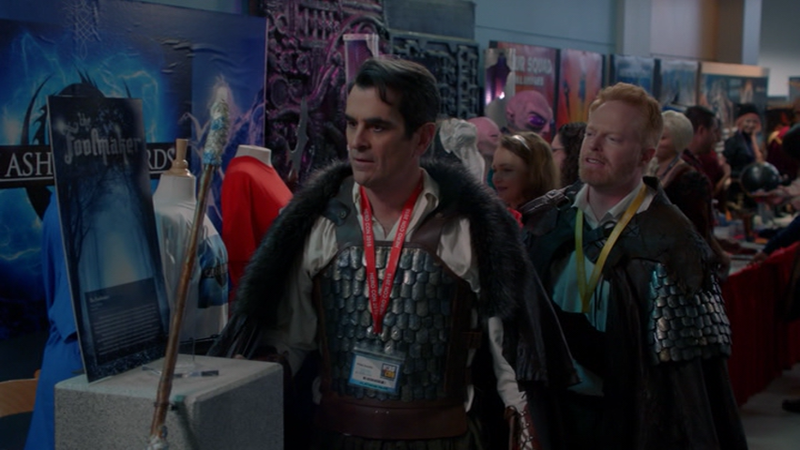 Like last season, the 22 episodes of the ninth season of Modern Family are spread across three DVDs, which are packed in a clear standard-width keepcase with a dual-hubbed tray. The animated, anamorphic-widescreen menus features options to to play all the episodes, select shows, adjust the setup and check out the extras (if applicable), while pummeling your brain with a short loop from the show's theme song. There are no audio options but subtitles are available in English SDH, Spanish and French. Nothing has changed when it comes to these standard-definition, anamorphic widescreen transfers, as they offer up appropriate saturation and skin tones, with a solid level of fine detail. There's nothing problematic in terms of digital distractions, resulting in a solid watch, if quite short of the way the series looks in HD. The Dolby Digital 5.1 tracks is same as it ever was, with the heavy instrumental theme song being the most prominent aural element, while the dialogue is clear and crisp, delivered predominantly in the center channel, while the surrounds handle some atmospherics and music. Nothing to complain about here. 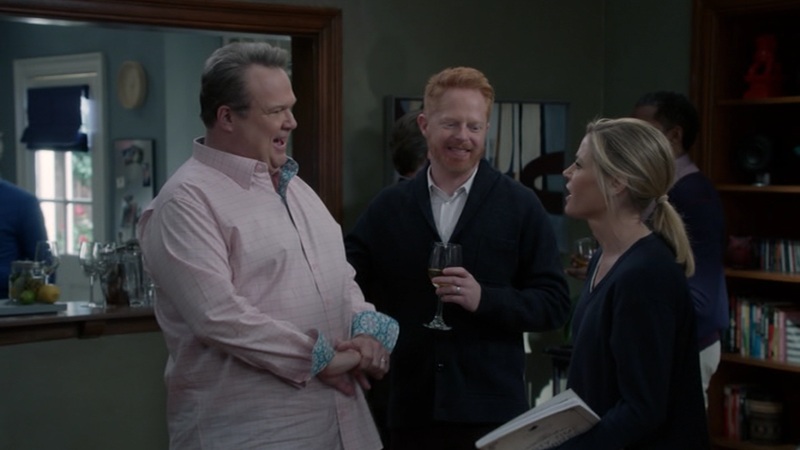 This season of Modern Family feels like one you'd find at the end of a series' lengthy run, as it repeats story concepts we've seen before and has predictable rhythms that rob the show of the surprises that were once its strength. The presentation is a solid as ever for an SD release, but the extras have entire become an afterthought, so unless the episodes are what you need in your collection, this set isn't one you absolutely need. It's good, but not what the show once was.